Business owners share a common goal. We want our babies to grow up and be brands. We want to be memorable and known. We dream of loyal customers and Google authority. But what happens when your brand isn’t positive? When it’s based not on the quality of your product, but on your failures and history of being an idiot? Can a bad brand be turned around or are you destined to wear your A for asshat forever? 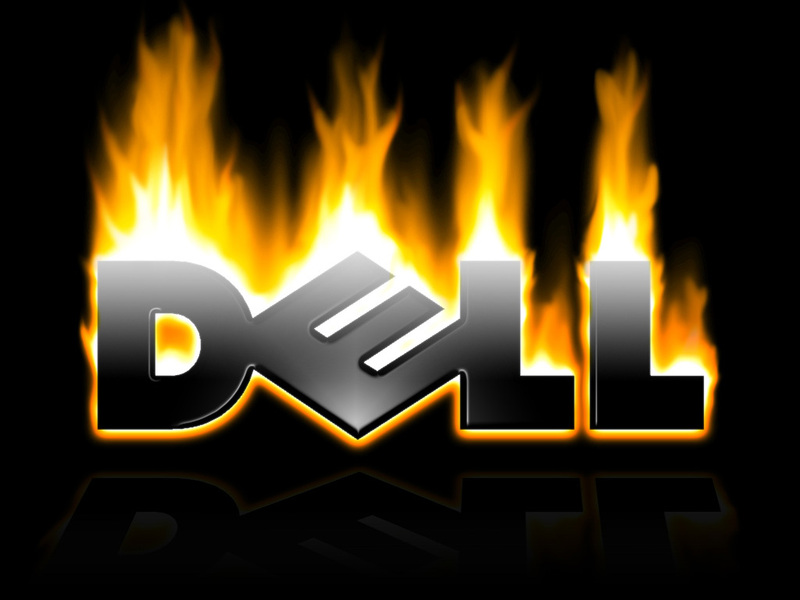 Four years ago this summer, Dell Hell was set on fire when Jeff Jarvis blogged about an unfortunate experience he had with Dell and accomplished what all good bloggers hope to do – he unified and empowered a sect of people. Unfortunately for Dell, the group he empowered were disgruntled Dell customers from across the globe who were tired of being ignored. You see, before Dell was a social media success, they had a policy of “look, don’t touch” for blogs and forums. While conversations were monitored, they were never responded to or publicly addressed. Blogs were seen as “unnecessary”. So was the conversation, the complaints and the customers. And with Jeff’s help and encouragement, Dell customers started getting louder. As the fires grew bigger, Dell continued to publicly ignore what was happening. They ignored bloggers. They closed support forums. They closed their eyes and cupped their hands over their ears as the brand of Dell began to take shape in Google. And it wasn’t pretty. Google was not their friend. Google was the bathroom wall revealing all their dirty little secrets. Before they knew it, the term dell’d had been coined to represent bad customer service and sales quickly dropped. The brand had been scarred. We talk a lot about brands. About how you need one, how powerful they are and how Google and brands are a match made in heaven. But not all brands form because of something good. Some brands are based around our mess-ups and threaten to haunt us forever. Some of it can be healed with a small dose of online reputation management. But that often just gets rid of the evidence, not the sour taste people have in their mouth. To change a bad brand association, you have to do what Dell did. Whatever you did, are doing, or are allowing to happen, stop. In Dell’s case, they had to stop ignoring their customers’ cries and pretending like blogs and forums were beneath them. They had to prove that they really did care and that they were willing to make things right. They had to learn and embrace the five tenants of marketing (which I just semi made up). Your customers are the most powerful marketers money can buy. Only you can’t buy their affection. Customers are connected. When you lose one, you lose their friends. And on the Internet, friends span. Every employee who responds to a customer is acting on behalf of the company, knowingly or not. The angry words spouted bya summer intern, may as well come from the CEO. Refusing to “touch” blogs or social media is at your own detriment. Your customers will never forget, but they might forgive. If you deserve it. Track your brand mentions and go where the conversation is. When you get there, shut up. Don’t say anything. Just listen. And when you’re done listening, shut up and listen harder. Only after you’ve been beaten over the head with how wrong you really were and it’s finally sinking in, are you allowed to get in there and apologize. Otherwise you run the risk of doing even more damage. When you enter the conversation, get on your knees and grovel. Reach out to the leaders of the conversation and ask them to help you make it right. Ask them to teach you how to be better. Show them you want to change and you need their to help to do it. Find a way to empower and unify your people in a brand new way. Right now they’re feeling alienated and let down. You need to give them something else to come together for – something other than what a jerk you are. This will be the most important step of fixing your brand, so it’s imperative you take the time to identify what they need from you and then do whatever you can to offer it. Not for them, but for yourself. If you’re genuine about your efforts, they’ll welcome you with open arms. If they can smell your desperation and stress of money lost, they’ll happily watch you drown. Create your social media plan for how you’re going to make things right and then get to work on it. And while you’re doing it, keep the community in the loop. Constantly ask them for advice on how you’re doing and make them part of your rebranding efforts. If you do that, you’ll not only impress them with how hard you’re working to make amends, but they’ll be so proud of you they’ll share it with their friends. The same friends you alienated that span the Internet. Get that positive word of mouth going to help block out some of the past noise. For Dell, making right and reconnecting meant creating a cross-platform community that included a network of blogs, numerous social media accounts, a huge small business outreach center, and more. They entered every social space on the planet, identified themselves as a leader, and made money doing it. They shared everything they did with a community that was waiting on the edge of their seat for it. To some degree, it’s up to the community to re-embrace you and allow you to make amends and start over. However, you can help that to happen with your actions. The more genuine, apologetic and transparent you are, the better chance you’re going to have getting people to welcome you back. As harsh as the Internet can be, people want good businesses to succeed. They like success stories and companies that can come back from the grave. It gives them hope for themselves. As bad as Dell blew it early on, they were able to make up for it. They’ve shown that they’re listening, that they get it and that they can be trusted. Because they were truly apologetic, they were welcomed back and the sour aftertaste that most associated with Dell is gone. It hasn’t been forgotten, but it has (for the most part) been forgiven. Today, Dell is known as one of the smartest big brands in social mediabecause they learned, took responsibility and reformed. They’re proof that bad brands can be saved if they’re willing to make amends. If they can do it, so can you.